The IDEA World Convention means a lot of things to different people. For some, it’s primarily about updating their skill sets and knowledge to maintain a competitive edge. 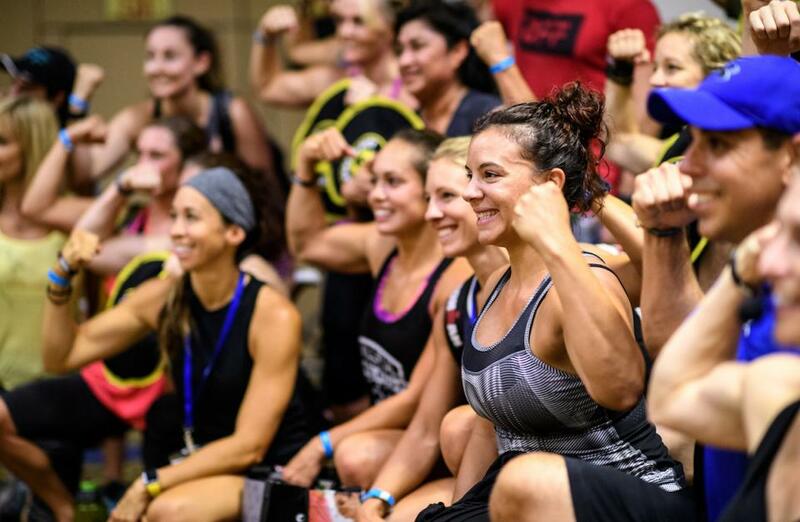 For others, the connections and relationships they build at the fitness event are priceless in advancing their careers and enriching their lives. Whatever stands out for each individual, one thing unites allIDEA World attendees: an intense desire to create a career that thrives. Ami McMullen, master instructor for TRX®, first attended IDEA World in 2006. She had exactly $88 in her bank account, slept on her friend’s mom’s hotel room floor and subsisted on samples from the Fitness & Nutrition Expo. “I was fresh out of school, new to the West Coast and trying to figure out my niche so I could determine where to focus my education and training,” she says. McMullen networked with reps from companies like GRAVITY® and TRX, and that led her to take training courses that afforded her teaching opportunities at a handful of gyms in San Diego, where she lived at the time. 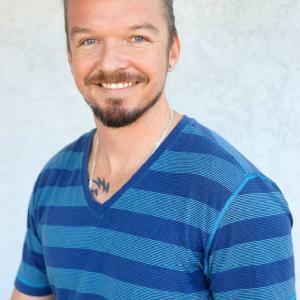 Thirteen years later, McMullen has built a prolific and multifaceted career as a personal trainer and group instructor, a master-level trainer who leads teacher-training courses, an international presenter, a writer, and more. That’s all thanks to the connections she’s made at IDEA World, she says. Kathy Gibbs has attended a remarkable 23 IDEA World fitness events. Gibbs works primarily with older adults and has found that IDEA World keeps her ahead of the curve. What will you gain from attending IDEA World? Derrick Price, MS, director of education for the Institute of Motion, believes it’s time to address momentum in client training sessions. “Attendees will walk away with strategies [for incorporating] momentum-based training in a strength and conditioning program, along with exercises and coaching principles to maximize clients’ ability to harness momentum for functional gains (i.e., move better! ),” Price promises. Longtime IDEA World presenter Eve Fleck, MS, wants to the flip the script on traditional strength-based group exercise classes by encouraging instructors to alter movement tempos. “HIIT and athletic-inspired training programs have grown rapidly within the industry, but many of them lack the structure and training principles needed to keep clients safe, engaged and progressing long term,” says Joe Drake, MS, co-owner of Gravity + Oxygen Fitness in Boca Raton, Florida. Drake is concerned that, without a solid foundation, programs miss the mark and push clients into risky situations. In the session “Performance Training Meets Group Fitness–Variables of Power, Speed, Stamina and Skill,” he plans to arm attendees with training options that are safe and effective. More than 300 brands will set up shop in the IDEA World Fitness & Nutrition Expo, offering the latest in equipment, technology, nutrition, apparel, continuing education, and everything else you need to support your career and business. Plus, this year’s expo will feature plenty of pulse-pounding action and special events. Your favorite presenters and fitness celebrities will take the stage to lead signature sessions that are equal parts inspiration and perspiration. 22 Minute Hard Corps™ Workout with Tony Horton on the USS Midway. Join professional fitness blogger Gina Harney as she emcees this brand-new experience highlighting the latest and greatest in barre, dance, high-intensity training and more. This is your chance to try some of the hottest tools during workouts led by high-energy coaches and trainers. You’ll also get fresh ideas on how to build your own engaging and effective circuits. An IDEA exclusive, the Nutrition Pavilion hosts leading nutrition and supplement companies and experts. You get to sample new products, experience healthy-cooking demos by top chefs, and get insights on how to help clients choose foods that will support their goals. Sessions go dark during Afternoon Power Hours so that you can participate in revitalizing workouts, try new equipment, chat with vendors and explore the expo. A special extended learning opportunity for women by women, this preconference session furnishes attendees with know-how to overcome the unique challenges they face. Opening Ceremonies. It all starts with the Opening Ceremonies, sponsored by Technogym, with inspiring stories from remarkable individuals who have risen to the top of the industry. IDEA World Club & Studio Summit. The industry’s best share what they did to increase sales, implement effective operations systems, build world-class company cultures and create businesses that thrive. IDEA World Nutrition & Behavior Change Summit. Back for its third year, this IDEA-exclusive 2-day fitness event-within-the-event puts you at the forefront of the freshest nutrition and behavior change research and gives you the skills to guide clients to their healthiest lives. Les Mills LIVE. Some of the hottest instructors take you through your favorite Les Mills workouts. ACE Mover Academy. You discover the latest research and practical knowledge from ACE experts and develop the skills to make a positive impact in the community you serve. 22 Minute Hard Corp™ Workout With Tony Horton on the USS Midway. Set aboard the world-famous USS Midway aircraft carrier, this session—led by fitness superstar Tony Horton—puts you through your paces in a boot camp–style workout made up of cardio, strength and functional exercises. SPECIAL THANKS TO IDEA&REG; WORLD CONVENTION SPONSORS!